A lot of criticism is heard these days about immigrant labor. Even as agriculturalists are being exhorted to double the world’s food supply to feed a projected population of more than 10 billion human beings, livestock growers –especially grazers – are blamed for everything from contributing to climate change to exploiting immigrant labor. Yet smart natural resource management benefits soils, plants, wildlife and people. So, as someone who has spent many years as a sheepherder, I want to cast some light on the issue of foreign herders, rather than turn up the heat. For three years, my husband and I practiced the “world’s second-oldest profession” – herding our sheep ourselves. We rose before dawn, made sure the animals had access to feed and water, rode around the flock to set the day’s perimeter for rotational grazing, and tried to fend off predators. We partnered with our border collies, livestock guardian dogs, and reliable horses. In the summer, we rode out on horseback at first light. When the heat of the day settled in, the ewes and lambs napped until evening brought cool, and we napped, too. In the short winter days when snow covered the ground, we’d feed corn and extra hay to the pregnant ewes. Herding sheep to research sites at the U.S. Sheep Experiment Station near Dubois, Idaho. These sheep, with their diverse diet preferences, may help native species compete against invasive species in the sagebrush steppe. Our livelihood depends upon skilled sheepherders. They live much as we did, in sheep wagons that are moved on a regular basis, always following the seasons and the grass. They usually lack electricity and running water, but the wagons are nicer than they were in our day. They come with solar panels, DVD players and cellphones. Still, it is mostly a solitary life. Our sheepherders come from Peru on H-2A visas, which allow them to live and work for three consecutive years. As non-immigrant employees, they must go home for at least three months before returning to the U.S. Most of our shepherds fulfill their three-year contracts and often return for many contracts. Many have children, and choose to leave home in order to provide an education and a better life for their families. In Peru, alternative jobs mostly involve mining under dangerous conditions, or working on the road crews that build access to Peruvian ports for the Chinese. 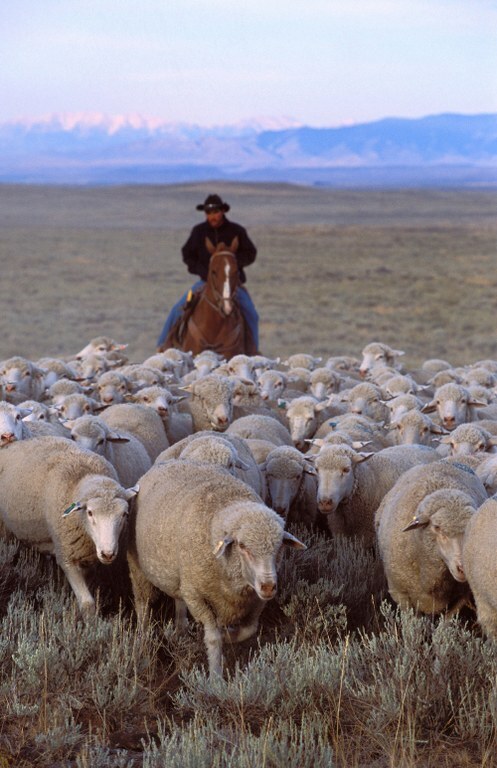 Herding sheep is a job that virtually no American citizen wants to do. A worker shortage in almost all agricultural production jobs has been the norm since the post-World War II years. The process to acquire the H-2A visas for these non-immigrant legal workers is so Byzantine that it costs the employer around $4,000 and the prospective employee around $1,000 just to get started. The employee must be experienced and skilled in livestock handling. The employer must provide room, board, basic necessities, workers’ compensation insurance, and travel to and from the home country. The wages are set by the Department of Labor. Several groups, mostly with legal backgrounds, have made sheepherder visas their “cause célèbre.” They accuse ranchers like us of being slavers, and seek out disgruntled former herders, some of them now illegal, to file complaints. They cite one ranch that has been notorious for abusing employees and characterize that as the norm. But remember: Herders are in the United States legally. They work under the protection of the law. Recently, the Department of Labor enacted broad changes to rules and regulations. It mandated higher wages that come to around $1,200 per month before benefits. Most growers already paid wages higher than the previous minimum of $750. Now the Labor Department is slow-tracking visas, jeopardizing livestock and crops, farms and ranches, and the workers, stuck in limbo without jobs. Groups like “Toward Justice” have filed a steady stream of lawsuits, but ironically, those involved in the litigation industry against employers have come full circle. Their allies include extremists who wish to remove all grazers from the landscape and those on the far right who want no immigrant labor at all. Meanwhile, it seems that every category of food production is being attacked through public-relations campaigns and lawsuits. While local food production and farmers’ markets can feed some folks, every aspect of growing food involves a lot of labor — labor that most Americans have neither the time nor desire to perform. Attacking pastoralists serves no one. The charge that it is somehow unsavory to live a remote life while doing the ancient and honorable work of tending livestock is disrespectful to those of us who have chosen this path. 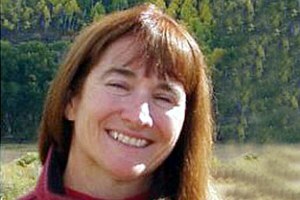 Sharon O’Toole is a contributor to Writers on the Range, an opinion service of High Country News. She works the land in Wyoming and Colorado.